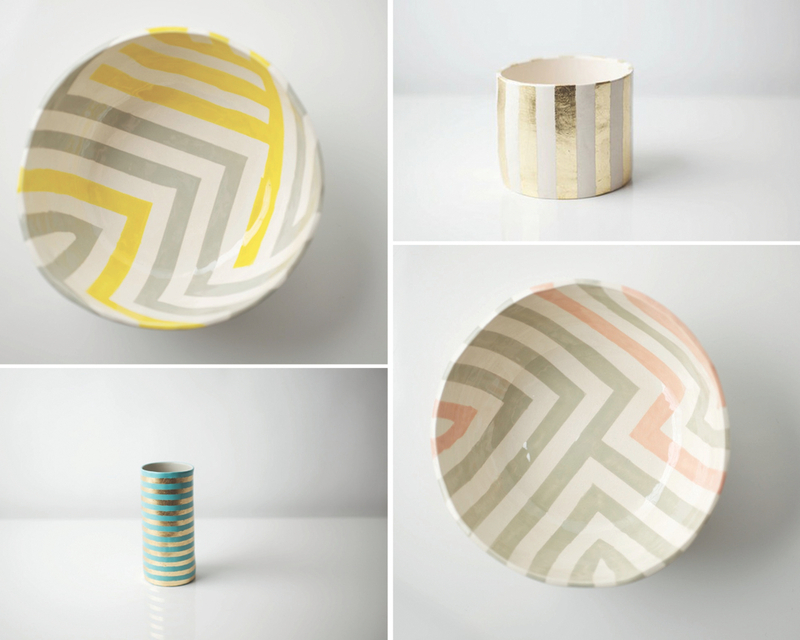 I’m loving these pretty striped ceramic vessels from Up in the Air Somewhere. I’ve had a thing for metallics lately so I’m especially in love with the gold striped pieces. See more of Up in the Air Somewhere here! xoxo! LOVE the grey and yellow zag bowl! Favorited!